History: Jane Ann was originally designed and built by the Batbbyggarna Ab, Ronnang in 1985 as SWE 109 Irene VI, for Pelle Pettersen himself. She was very soon sold to the Rosen brothers, renamed Gredelin, and had the keel, wings and rudder done by Ridder & Bergstrom. Gredelin finished 30th of 37 in the 1991 Worlds at Maarstrand and a much improved 12th of 25 at the 1995 Worlds at Sandhamn. After being purchased by Basil Vasilou in 1999 and renamed Jane Ann, Basil had her updated with new Ian Howlett designed wings and rudder and some keel reshaping by Hugh Welbourne. The original mast and boom were also replaced with Howlett sections. She placed fourth in the 2000 European Championships. 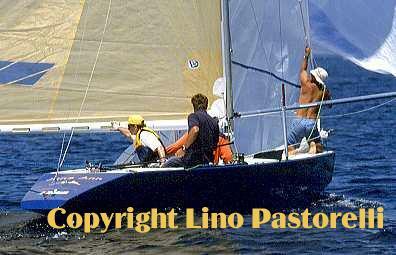 Basil won with Jane Ann at the Coupe de Mediteranee on May 18, 2002 and finished 8th at the Worlds in St. Tropez in 2003. Since then Basil and Jali Makkila have raced her regularly in many World (2005, 2007, 2011, 2013, 2015) and European Championships (2006, 2008, 2012). 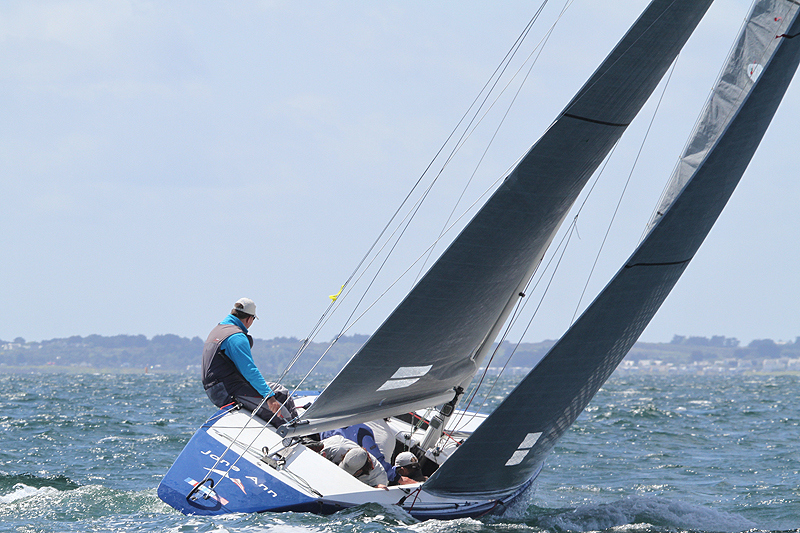 The boat and crew most recently competed at the 2015 World Championships at La Trinite sur Mer, France, placing 11 of 19 and placed 2nd in the warmup regatta - the Societe Nautique de Geneve's Annual Regatta at Sea.